Fine Art Consignment Days in MA | Skinner Inc.
Robin Starr, Director of the Skinner American & European Works of Art Department. Remember Election Day then come discover the value of your fine art at our monthly consignment event. 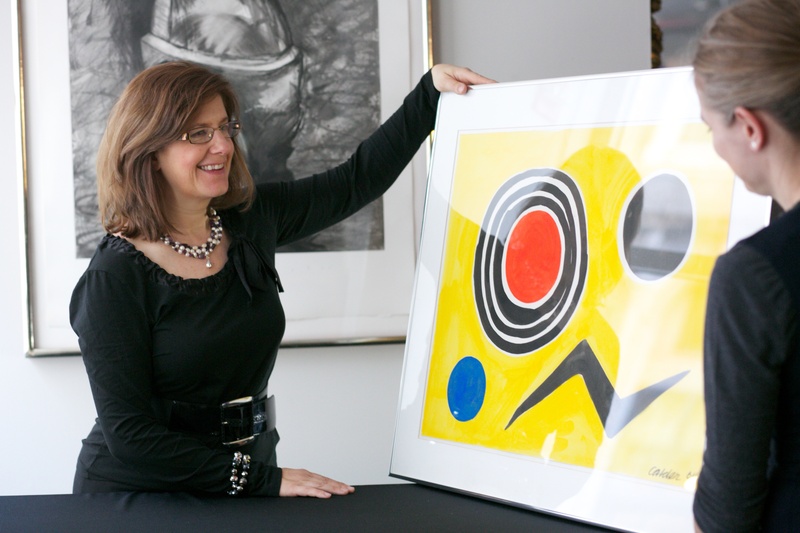 Appraisers specializing in American & European fine paintings, prints, photography, works on paper, and sculpture will provide complimentary verbal auction evaluations. Limit of 3 works per person. This entry was posted in Event and tagged appraisal day, art at auction, Boston event, consignment event, fine art, Fine Paintings, Fine Prints, new england event, Photography, robin starr, selling artwork by Skinner. Bookmark the permalink. I will be bringing 3 paintings of Frederick E. Wallace, born in Haverhill, studied at Rockport Art Assn, painted 3 governors of Massachusetts and in the State House. I have more portrait paintings of his, but I wanted to start by getting an idea. I also have a picture of his funeral and his self portrait in the French Army Corps. I am his niece. My aunt was Janet Wallace, well-known in the Barnstable County Courthouse for her excellent deed and title work. My mother was a student at the New England School of Art in 1943. Frederick Wallace was her teacher. I do have a copy of his obituary that she saved. Will be bringing 2 JD Harding Lithographs “Birch & Elm” and “Sycamore”. They were purchased in Dublin from Pat O’Leary Associates in the 1950s, and the label reads “circa 1844”. I have some artworks to be appraised, but I don’t know if I will want to consign them for sale. Do I have to consign them after the appraisal? I would like to bring 2 Asian wall hangings,they are rolled up like scrolls and a family book dating back to the Eighteenth Century. The wall hangings, if they’re of any value, I would like to consign. The book s historic in that it contains information and pictures about one of the founding families of St. Louis. Hi Paul, Skinner’s Appraisal Department would be more than happy to assist you in finding out more about your photograph, please submit photos and an auction evaluation form via our website: https://www.skinnerinc.com/selling/auction-evaluation-form/ or contact the Appraisal Department directly at 508-970-3299 or appraisals@skinnerinc.com. Thank you! Hi Cynthia, to find out what your figurine may be worth at auction please submit photos and an auction evaluation form on our website: secure.skinnerinc.com/appraisals/form.asp. This will help us to connect you with a Specialist in your area and we can determine more information for you.